In 2017, CGIAR took several steps forward in its integration of gender issues. A CGIAR Collaborative Platform for Gender Research was set up in January 2017i, housed in PIM and serving all CGIAR Research Programs and Centers. The aim of the platform is to increase impact and visibility of gender research undertaken across CGIAR. The platform supports priority setting for gender research, strategic partnerships, capacity development, and collaboration between and among CGIAR programs, Centers, and partners, building on work by the previous system-wide gender network. The platform held its first technical conference in December 2017, with 90 participants. The platform also held a series of technical webinars on topics such as Gender, Technology, and Development and Gender mainstreaming in the Participatory Market Chain Approach (PMCA), and maintains a website with resources on gender research, as well as regular newsletters, blogs and community calls. The platform put out a first call for proposals for co-funded gender research from across CGIAR: in 2017 the focus was gender dynamics in seed systems, and five proposals were selected. A paper by a CGIAR researcher, Alessandra Galiè (ex-International Center for Agricultural Research in the Dry Areas (ICARDA), now at International Livestock Research Institute (ILRI)) on links between women’s empowerment and crop seed improvement and governance in pre-war Syria, won an Elsevier Atlas award in 2017 as “a research paper with outstanding potential for impacting people’s lives”. A4NH’s Gender Nutrition Idea Exchange blog also continued a steady growth of readership since it was launched in 2014. There were 15,078 views in 2017 (a 49% increase from 2016) with the post A Framework for Measuring Women’s Empowerment at Multiple Levels viewed more than 2,000 times. For plant and animal (livestock and fish) breeders to meet users’ needs, they need to understand the priorities that women and men assign to genetically determined traits – such as taste, color, size and shape. The CGIAR Gender and Breeding Initiative, led by RTB/CIP, brings together plant and animal breeders and social scientists to develop a strategy for gender-responsive breeding with supporting methods, tools, and practices. What is particularly promising about this initiative is its systematic approach to involving breeders and meeting their detailed technical needs. This includes developing gender-responsive varietal product profiles and compiling information on differences between women and men’s trait preferences. The Evaluation of Gender in CGIAR was completed in 2017, and covered two dimensions; Gender in CGIAR Research, and Gender in the Workplace. The main finding was that CGIAR has made significant progress towards gender equity since 2010. Key institutions have been strengthened, and gender mainstreaming has been incorporated across all research programs. In the workplace, the Evaluation found increased representation of women across all Centers and at all levels of the System, and Centers have developed policies that foster gender equity. However, there is still much to do. The evaluation recommended that CGIAR develop a clearer overall vision and action plan for gender equity. For Gender in Research, the quality and expertise were found to be variable, and the evaluation recommended stronger systems for monitoring and evaluation of outputs and outcomes and support to gender capacity and expertise. Regarding Gender in the Workplace, the evaluation found that while moderate progress in representation of women has been made since 2008, women remain under-represented in professional, scientific, and leadership roles. It concluded that priority should be given to increasing the representation of women in groups that have the strongest bearing on the delivery of the overall mission, which will require target-setting and proactive recruiting. 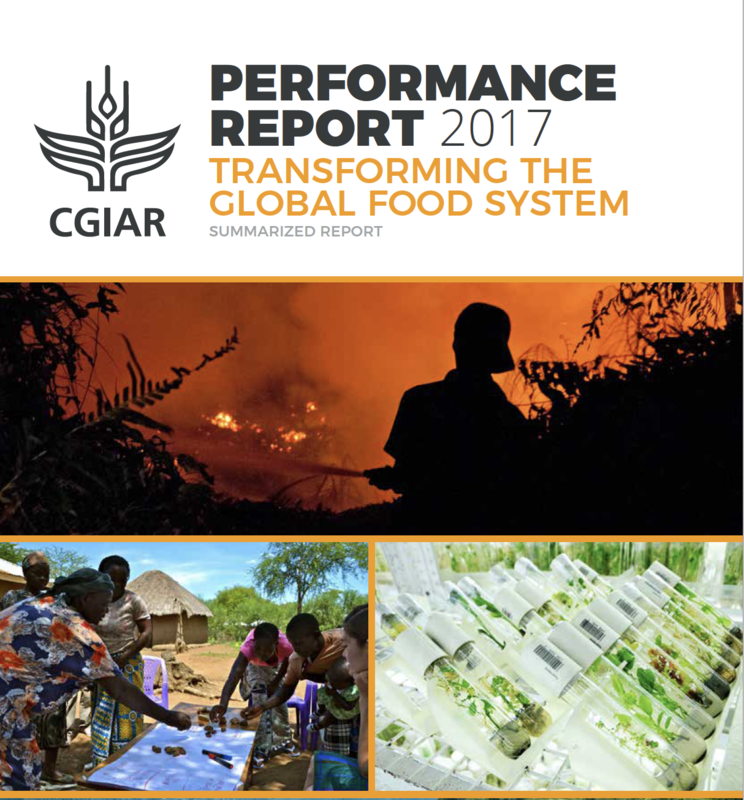 The CGIAR System Management Board welcomed the evaluation and fully accepted nearly all its recommendations. It agreed to prioritize supporting collaborative linkages between gender in research communities and integration of gender into results reporting. The development and validation of methods and tools for looking systematically at gender issues is a critical step for gender analysis to extend beyond use by a few knowledgeable individuals to full integration into research and development programs. Training: A number of CRPs reported substantial training of staff and partners, for example on gender in agricultural research, gender in breeding and gender in livestock. A special section on Youth and other aspects of equity: “Leaving No-One Behind” has been included in the 2017 Performance Report. i This replaced the CGIAR Gender Network that was coordinated by the CGIAR System Management Office until December 2016.
ii N. Johnson et al., “How Do Agricultural Development Projects Aim to Empower Women? : Insights from an Analysis of Project Strategies,” IFPRI Discussion Paper (Washington, D.C.: International Food Policy Research Institute (IFPRI), 2017), http://ebrary.ifpri.org/cdm/ref/collection/p15738coll2/id/131074. iii A. Galiè et al., “The Women’s Empowerment in Livestock Index,” Social Indicators Research, May 31, 2018, https://doi.org/10.1007/s11205-018-1934-z. iv N. Lefore, E. Weight, and N. Mukhamedova, Improving Gender Equity in Irrigation: Application of a Tool to Promote Learning and Performance in Malawi and Uzbekistan, WLE Research for Development (R4D) Learning Series 6 (Colombo, Sri Lanka: International Water Management Institute (IWMI). CGIAR Research Program on Water, Land and Ecosystems (WLE), 2017), http://hdl.handle.net/10568/89017. v S. Theis et al., “What Happens after Technology Adoption? Gendered Aspects of Small-Scale Irrigation Technologies in Ethiopia, Ghana, and Tanzania,” IFPRI Discussion Paper (Washington, D.C.: International Food Policy Research Institute (IFPRI), 2017), http://ebrary.ifpri.org/cdm/ref/collection/p15738coll2/id/131375. vi B. Sijapati Basnett et al., “Gender Matters in Forest Landscape Restoration,” Brief (CIFOR; CGIAR Research Program on Forests, Trees and Agroforestry (FTA); CGIAR Research Program on Policies, Institutions and Markets (PIM), 2017). viiV. Sriram, “How to Do Note: Design of Gender Transformative Smallholder Agriculture Adaptation Programmes” (International Fund for Agricultural Development (IFAD), accessed September 9, 2018, https://www.ifad.org/web/knowledge/publication/asset/40215442. viii V. Sriram, “Achieving Gender Equality and Women’s Empowerment in Smallholder Adaptation: Lessons from IFAD’s Adaptation in Smallholder Agriculture Programme,” CCAFS Info Note (Wageningen, the Netherlands: CGIAR Research Program on Climate Change, Agriculture and Food Security (CCAFS), March 8, 2018),http://hdl.handle.net/10568/91537. ix C. J. P. Colfer et al., The Earthscan Reader on Gender and Forests (Abingdon, Oxon (UK): Routledge, 2017), http://hdl.handle.net/10568/83480. x F. Kruijssen, C.L. McDougall, and I. J.M. van Asseldonk, “Gender and Aquaculture Value Chains: A Review of Key Issues and Implications for Research,” Aquaculture 493 (August 1, 2018): 328–37, https://doi.org/10.1016/j.aquaculture.2017.12.038. xii N. Mudege and S. Torres, “Gender Mainstreaming in Root Tuber and Banana Crops Seed Systems Interventions: Identification of Lessons Learnt and Gaps.,” Working Paper (Lima, Peru: CGIAR Research Program on Roots, Tubers and Bananas (RTB), November 2017), https://dx.doi.org/10.4160/23096586RTBWP20172. xiii D. Resnick, “Chapter 6: Governance: Informal Food Markets in Africa’s Cities,” in 2017 Global Food Policy Report (Washington, D.C.: IFPRI, 2017), 50–57, https://doi.org/10.2499/9780896292529_06. xiv M. Ihalainen et al., “What Should Be Included in the Green Climate Fund’s New Gender Policy and Action Plan? 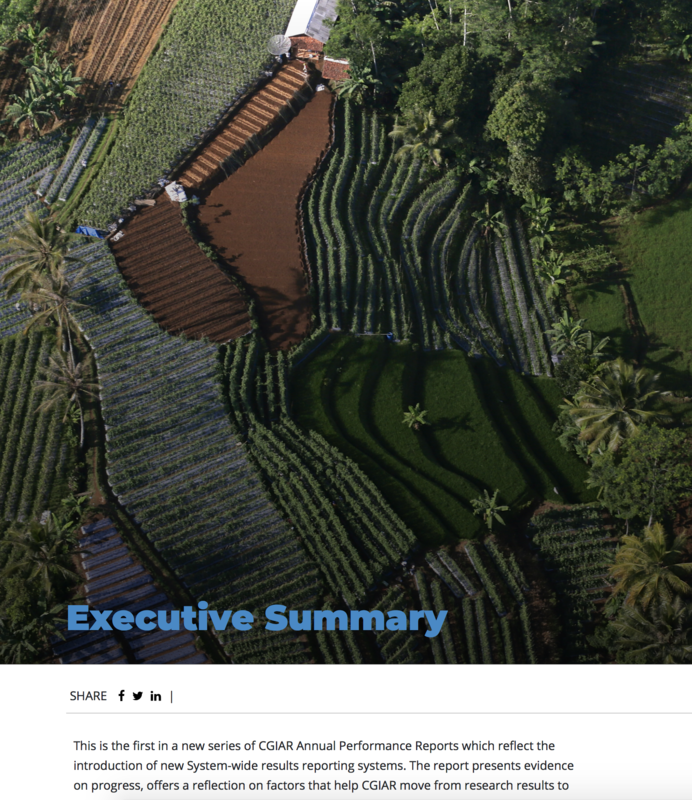 : Lessons from CIFOR’s Research and Analyses,” CIFOR Infobrief (Bogor, Indonesia: Center for International Forestry Research (CIFOR), 2017), https://www.cifor.org/library/6541/what-should-be-included-in-the-green-climate-funds-new-gender-policy-and-action-plan-lessons-from-cifors-research-and-analyses/.